Dr. Austin “Wade” Wilson is a Mental Performance Consultant and Lecturer in the Faculty of Applied Health Sciences at the University of Waterloo. 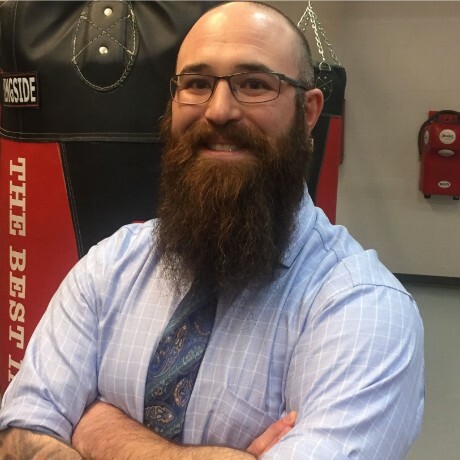 Wade became a member of the Canadian Sport Psychology Association in 2008 and has since been providing athletes and coaches with the mental skills and techniques to take their performance to the next level and maintain success. Wade strives to empower athletes and coaches to develop the connection between the mind and body to inspire confidence and motivation for athletes to reach their optimal performance and goals. Wade currently works with a variety of Canadian Inter-University Sport varsity athletes, high performance elite youth and amateur athletes, professional athletes, and coaches, in both individual, and team settings. Wade has founded his own private business: Wilson & Associates Mental Performance Consulting, and has provided field supervision for people interested in becoming recognized mental training consultants through the CSPA. Wade received his PhD in Recreation and Leisure Studies in 2015 from the University of Waterloo, completed his Maters in Human Kinetics with a focus in Applied Sport Psychology from the University of Windsor in 2007, and earned an Honours Bachelor of Arts Degree in Sport Psychology from Laurentian University in 2005. Wade is also a trained Child and Youth Worker, earning an Advanced Diploma from Loyalist College in 2009. Wade has experience and participated competitively in a number of sports, ranging from Wrestling & Rugby to Figure Skating & Ballroom/Latin Dance. Wade’s main sport of interest was Ice-Hockey where he played at the Jr.C, Jr.A, and Varsity Level as a goaltender. Wade currently teaches course focusing on the sociology of sport, sociology of physical activity, the sociology of health, activity, & well-being, and applied sport psychology. In his spare time to relax and recharge, Wade likes to go for walks with his rescue Greyhound “Willa”.